Azerbaijani package broadcasting through Turkey's satellite Turksat 3A will be suspended from July 1, Teleradio production association told the press on June 25. 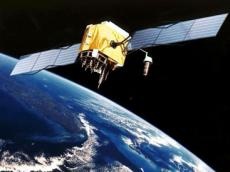 Currently, seven Azerbaijani TV and radio broadcasters - AzTV, Idman (Sports) Azerbaycan, Medeniyyet (Culture), Ictimai (Public TV), ATV ?nt., Xezer, and Azad Az?rbaycan (Free Azerbaijan) are allocated the resources of the first Azerbaijani telecommunication satellite Azerspace/Africasat-1a. These channels will be available at the 11169.15 MHz, H, S/R-20400 Mb/s frequency from July. At present, the state TV channels AzTV, Idman Azerbaycan and Medeniyyet are broadcasting via the satellite in the test mode. Azerbaijani space agency Azercosmos completed technical work on the allocation of resources of the satellite to local TV and radio broadcasters on May 16. Azerspace will offer many advantages to the local TV and radio companies, as well as acceptable conditions for transmission. Special data compression technology will allow TV and radio companies to reduce usage of the satellite's resources and organize packet transmission of the highest quality. The main factor of quality will be the high level of signal transmission in the satellite's coverage area. North African telecommunication operators started using resources of the satellite in May and the Turkish Radio and Television Corporation (TRT) broadcasters may air their programs through Azerspace-1 as well. Some 20 percent of the satellite's resources will be used for Azerbaijan's needs, and 80 percent will be available for commercial purposes. The satellite was designed to offer digital broadcasting services, Internet access, data transmission, to create multiservice VSAT networks and provide for governmental communication. The total value of the Azerspace-1 project is about $230 million, including expenses on the construction of ground control stations, staff training, insurance costs and launching. The satellite is expected to fetch $500-600 million to the country's coffers in 15 years.